E-commerce exporters in China and Australia, consumers in Malaysia, Thailand and Vietnam, and DHL eCommerce are all expecting benefits from the introduction of a Cross Border Cash-on-Delivery (COD) system by Deutsche Post DHL Group. Announced Monday September 17, the DHL e-Commerce Cash on Delivery (COD) service will allow consumers in the three Asean countries to pay in cash when they receive their online purchases. With more than 73 per cent of Southeast Asia’s population unable to access credit cards or internet banking services, DHL is realising that reverting to low-tech cash has the potential to see significant increases in volume (and revenue), as the regions burgeoning middle-class looks further afield for their purchases. “The low level of credit card penetration has forced e-commerce retailers to offer alternative modes of payment methods, such as cash on delivery, digital payments, and in some cases paying in-store”, said Charles Brewer, CEO of DHL eCommerce. “This opens up a huge potential by reaching out to a new group of unbanked consumers, and also meeting the needs of consumers who prefer to pay in cash. “With our fully-owned domestic delivery network in Malaysia, Thailand and Vietnam, we are able to deliver on-time with secure features like cash-on-delivery”, Mr Brewer added. The DHL eCommerce COD service allows sellers, specifically in China and Australia, to collect cash on delivery in the three Asean member states, with payment status tracking available on the DHL portal. Vendors receive their money every 14 days. Comprising a total solution, DHL eCommerce offers parcel pick-up, easy IT integration of the seller’s inventory into the DHL shipping process, end-to-end tracking, dynamic routing and distribution, returns management, and more. Meanwhile in Vietnam, DHL recently announced a partnership with Sendo, Vietnam’s leading local e-commerce platform. The deal will see the German logistics giant provide delivery to Sendo customers in Ho Chi Minh City (HCMC), Hanoi, and other primary markets in the country. 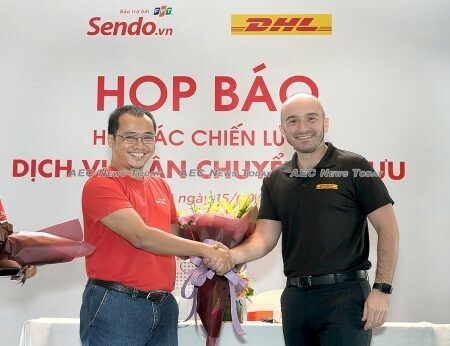 Describing the deal as delivering benefits to everyone, Tran Hai Linh, CEO of Sendo said the international standard delivery service will boost the confidence of the country’s eCommerce shoppers, and deliver increased business to the 300,000 vendors, micro-entrepreneurs, and small businesses who sell their products online. To kick-start the arrangement DHL eCommerce has placed more than 300 ServicePoints in locations that provide easy access to Sendo’s sellers. Vendors can either drop off their parcels and receive discounts of up to 20 per cent, or arrange for a pickup by DHL for direct door-to-door delivery. Throughout September DHL eCommerce has been offering special promotions for Sendo sellers. More information is available on the sendo.vn website.